Smart Document Solutions - Office Copiers & Printers in Phoenix, All of Northern Arizona and the Entire Tri-State Area! AS DEMONSTRATED BY OUR OUTSTANDING INDIVIDUALS AND TEAMS. Office Copiers & Printers in Phoenix, All of Northern Arizona and the Entire Tri-State Area! we have established over the last 25 years. If you need to are looking to buy a copier or rent a copier give us a call! We are here for all your office printer needs. Our Managed Print Services will save you up to 30% on your printing costs, reduce the need for IT support, automate supply ordering and save you time without the need to invest in hardware. Contact us to learn how our MPS can make having a Phoenix copier secure, productive and affordable. Our production printers are fast, reliable digital presses for transaction printing and publishing environments that are superior in their quality and durability for high volume jobs. 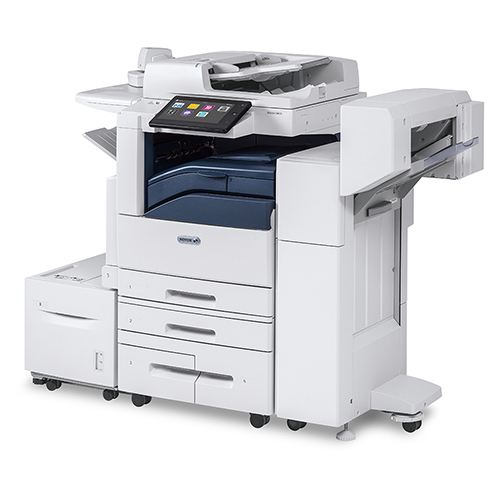 Contact us to find out how a printer for lease or purchase can work for your office. ConnectKey offers you superior cost management and control, increases productivity, securely protects your data and allows mobile printing & cloud services. Beginning with the very first machine, which was expertly set up, and several times thereafter, the friendly knowledgeable folks at Smart Document Solutions would come out and help me solve some software or hardware problem in quick order. They were always friendly and accommodating and always responded rapidly to support tickets. I would recommend Smart Document Solutions and their amazing staff, and Xerox copiers, to anyone interested in having high-quality equipment (and staff) that will work hard for you. Read Our Smart Document Solutions Articles! No other Arizona copier dealer has the unique supplier partnership that Smart Document Solutions has with Xerox. We represent Xerox exclusively, giving us superior product knowledge, factory training and field support allowing us to better serve you and all of our incredible Arizona clients. If you are looking for the best copy machine rental, dealer, and service provider, Smart Document Solutions is the right solution for your company’s needs. Copyright Smart Document Solutions. All rights reserved. View the Sitemap.